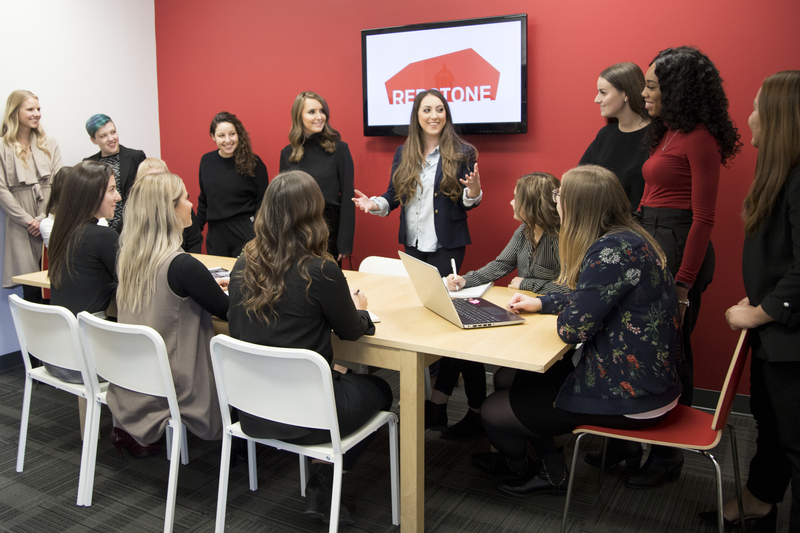 From Stand Alone to Surrounded – Moving from A Single Association to an AMC - Redstone Agency Inc.
My history with associations has been fairly simple – multiple different roles in one association – that’s it. I’ve bounced from Executive Assistant (which really does play a part in all departments of an organization) to education, and then lastly to operations. I’ve seen all of the departments in action , had a hand in one way or another, but all in all, my experience has been limited to one association and its procedures. I’ve had one viewpoint of how to do things my entire association life, and while you have room to evolve, it’s easy to get stuck doing things the same way they’ve always been done. So when I moved to an AMC (Association Management Company) three months ago, I was in an awkward in-between state of culture shock and familiarity. As I would tell others, “Everything is the same, but also so very different.” I’m doing the same thing, but on hyper drive, and for more than just one group of people. Now that I’ve settled in, I think I finally have a handle on the real differences that made my transition such an interesting learning experience. I went from a team of 12, who all had individual job descriptions and responsibilities – to a team of… well, some teams are 2, some are 3, and the whole team is now comprised of more than 20+ individuals. There are so many DIFFERENT teams at play in an AMC. While there are departments, it’s all predominantly based on which client you work with, or what event you are helping to manage. There’s always another team being created, so the nice part is you really do get to work with nearly EVERYONE in the office on one thing or another. In a stand alone association, you’re in one department or you’re a department of one in some cases. While you interact with other departments or teams, sometimes your only interaction is when you agree to help the Membership team stuff envelopes for dues, or if you help the Education team prepare for a course. The teams are a little more like silos, and heavily dependent on your department and your level of responsibility (better known as your title). However, I feel more interconnected now, like the lines between the teams are always a little blurred, and for that reason, we all need to work a little closer with one another. I don’t believe I have ever been so cognizant of how I spend my day. In a stand alone – you have your projects. You have deadlines, and you create your own timelines. You have your day-to-day tasks. You write out your to do list and get ‘er done. None of that changes in an AMC, that’s all still there, except now, you have all of those lists for 3 different organizations. Time management has become a HUGE component of my day, ensuring all of my clients are being looked after, and managing their time lines, on top of my own. It’s like playing a four player board game by yourself – you need to move the pieces and make sure the most strategic move is done for your team, except you need to do that for EVERY team. The good news is, if you can find the balance and play your cards right, everyone’s a winner. It’s definitely a learning curve that you need to get accustomed to, but after you find your own rhythm and systems, it gets easier. That being said, my calendar looks like a crazy, colourful mess of reminders and meetings. While this may seem insane, it’s more of an exciting challenge that I get to rise to – I’m allowed to stretch new muscles, and exercise different skills on a regular basis. There’s been more flexibility in this as well, so it’s been a wonderful change of pace, and now I wouldn’t have it any other way! When I first started at an association, I was so gung-ho to learn EVERYTHING. Transitioning to an AMC, once again, nothing’s really changed, except I’m learning everything about three associations, plus the new organization I now work for, which can be seen as information overload. While I love the challenge, I find my ability to organize my notes and deadlines has become critically imperative. I have fallen back in love with colour coding. Information management with my own self is more important now in this transition; just so I can keep it all sorted properly as well as relay information to other team members. This mental retraining can be huge, but I think the biggest transition for me was re-framing how I explain what I do to friends and family. Previously, I worked for a not for profit association that focused on continuing education. Now, I’m working for a for-profit agency that manages not for profits (as well as events). It may seem like a simple change, but there’s a definite shift in the mentality that’s been needed – even in just explaining what I do when I’m at the dinner table. The jump from stand alone to AMC has been a crazy, wild ride, but it has also been an incredible learning experience. Every day, I’m doing something new and different, but it’s not necessarily foreign either. It’s similar to learning a new language that has roots in one you already know – it’s pretty familiar, but it’s still pretty different. At the end of the day, you need to become a Jill (or Jack) of all trades, who also is on performance enhancing drugs in order to power. Comment below with any tips you have on preparing for a success and managing a seamless transition. Natalie Wallace, CAE is an Account Manager at Redstone Agency. Her creative background gives her the edge in connecting with new people and delivering on fantastic experiences. She exudes a contagious effervescent energy that shines through in all of her work.